Donald Prescott McCann died Friday, November 9, 2018 at the Veterans Hospital in Canandaigua, NY. Don was born in Wellsville, NY on January 26, 1950 to the late Charles and Amy Browning McCann. He is survived by his wife of 43 years, Annabelle Healey McCann; his children Patrick McCann and Bridget (Paul) Towsley; his sisters Amy (Leo) Burgett and Barbara Kelley (Tom Riley); sister-and-brother-in-law Mary and Ray Schultheis; many cousins, nieces and nephews, and devoted friends. Don was a 1968 graduate of Wellsville High School and a proud veteran of the US Navy. Following graduation from Alfred State College, Don worked for many years in the packaging and machine tool industries. Friends may call at the Miller Funeral and Cremation Services, 3325 Winton Road South, Rochester, NY on Monday, November 12, from 1:00 to 2:30 PM. A brief prayer service will be held at the conclusion of calling hours. Following the prayer service friends are invited to attend a reception at the VFW #8945, 300 Macedon Center Rd., Fairport, NY 14450. Interment will be held at the convenience of the family at a later date. In lieu of flowers, please consider donating to the Canandagiua VA Medical Center, ATTN: Voluntary Services, 400 Fort Hill Ave, Canandaigua, NY 14424. Kenneth E. Gleason, 66, of 46 Brooklyn Heights, Wellsville, passed away Thursday (Nov. 13, 2014) at his home after an extended illness. Ken was born July 18, 1948, in Nunda, and was the son of Earl and Marjorie Gleason. On June 29, 1968, at the Immaculate Conception Church, he married his wife of 46 years, Sheila A. Brown, who survives. Ken graduated from Wellsville High School, Class of 1968, and worked for Alstom Power Air Preheater Company for 40 years, retiring in 2010. He enjoyed various sports like NASCAR and the New York Yankees, but Ken especially enjoyed the many hours spent socializing with friends and family and the company of his pets at home. Ken was a member of the Immaculate Conception Church and also a former member of the Wellsville Moose Club. In addition to his loving wife, Ken is survived by a son, Dan Gleason of Wellsville; two daughters, Amy Hyslip of Alpharetta, Ga., and Laura (Jim) Larkin of Midvale, Utah; two granddaughters, Ashlin and Sarah Hyslip; three sisters, Gail Allen of Florida, Betty Erwin of Wellsville, Shirley (Stan) Senack of Clifton Springs; and several nieces and nephews. Friends will be received Thursday (Nov. 20, 2014) at the Mulholland-Crowell Funeral Home, 296 N. Main St., Wellsville, from 1 to 3 p.m., at which time a Funeral Service will be held. The Rev. Daniel J. Serbicki of Immaculate Conception Church will officiate. 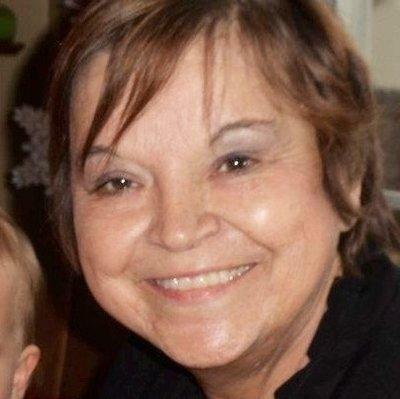 Lorraine Ann Vossler, age 64, passed away peacefully with her family at her side on December 21, 2013. She is preceded in death by her parents, James and Margaret McNeill House; brother-in-law, Darryl MacTavish; and niece, Heather MacTavish. 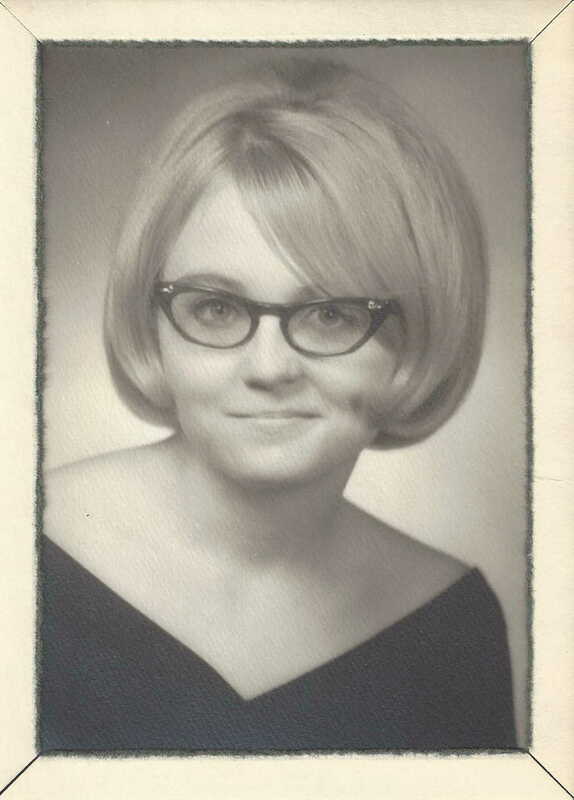 Survived by her husband, Edward Vossler, married 44 years; children, Jason Vossler, Adam (Jessica) Vossler and Daniel (Maggie) Vossler; grandchildren, Shelby, Lewis and Alivia Vossler; siblings, Candace MacTavish, Fredrick “Rick” (Linda) House, Debra House, and Teresa (Kevin) Graham; and several nieces and nephews. Lorraine was a loving wife, mother, grandmother and sister. Her family was her life and she will be greatly missed. Visitation will be held from four until eight o’clock in the evening on Sunday, the 22nd of December, 2013 at Brentwood Roesch-Patton Funeral Home. A funeral mass will be held at eleven o’clock in the morning on Monday, the 23rd of December, at Holy Family Catholic Church in Brentwood. In lieu of flowers, the family requests that memorial contributions be sent to St. Jude Children’s Research Hospital. John R. Greene, 51, of Knights Creek Rd., Scio, died Wednesday (August 8, 2001) in Jones Memorial Hospital. Born June 12, 1950 in Wellsville, he was the son of Robert D. and Mary Jane Sibble Greene. He graduated from Wellsville High School and attended Paul Smith College. He had worked at Allegany Bitumens in Belmont and Butler Larkin in Wellsville. He also worked in nursing homes in Rochester and Wellsville. John loved to hunt, fish, and play his guitar. He also enjoyed his children and grandchildren. Survivors include his parents of Scio; a special friend and long time companion, Debra Johnson and children; three daughters, Jenny Hill of Wellsville, Sarah Greene of Wellsville, and Amber Greene of Arcadia , Fla.; three grandchildren, Abigail, Ashley and Troy; and a brother, Thomas A. (Glenna) Greene and children, Nicole, Shelby and David of Lakeland, Fla. Friends may call Friday, Aug. 10, from 2 to 4 and 7 to 9 p.m. in the J.W. Embser Sons Funeral Home, Inc., in Wellsville where funeral services will be held Saturday, August 11 at 1 p.m. Rev. David Greene, a cousin to John Greene, will officiate. Burial will be in Knights Creek Cemetery. David was born in Wellsville NY his parents were James William Dwyer and Marian Kohler Dwyer. 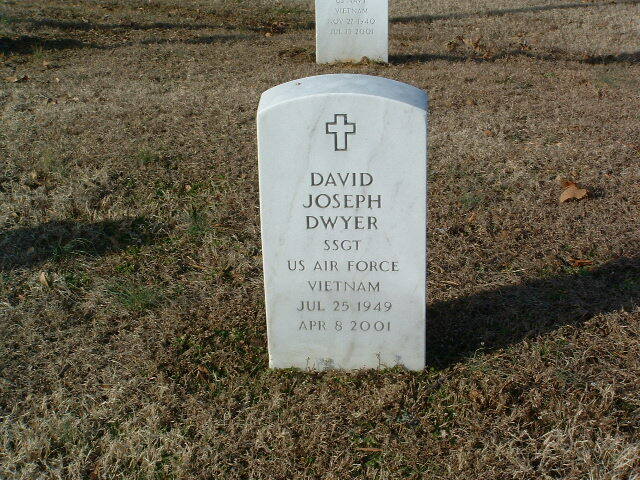 His brother was James Michael Dwyer. His parents and brother predeceased him. He is survived by his son Sgt First Class Patrick Joseph Dwyer United States Army, daughter Valerie Ann Lumsden San Diego CA, a granddaughter Carly Lynn, a nephew Sean Colin Dwyer State College TX, and his Aunt Betty Kolher Ferris of Bolivar NY. David was a security guard at the University of Tennessee Hospital in Memphis TN. He enjoyed sports, watching TV, and walking. He was well known for his love of coffee and his loyalty to his friends. His best friend from high school, Don McCann, remembers him as a good friend. David was always very proud of his service to his country. He was in the USAF Vietnam era and was stationed in Thailand. Dear mother of Ann, Robert, Jessie, Clair and the late Catherine Cunningham; dearest daughter of William and Rita Childs; sister of William (Kathy) Childs, Carla Rita Orosz and the late Carla Ann Childs. The family will be present at the MICHAEL A. DIVINCENZO FUNERAL HOME, 1122 E.
John C. Brown, 52, of Louisville, died Friday. He was a native of Wellsville, NY, and a disabled Navy veteran of the Vietnam War. Mr. Brown is survived by his wife of 30 years, the former Aileen Wellwood. A memorial Mass will be held at 10 a.m. Tuesday at St. Aloysius Catholic Church in Pewee Valley. Burial will be private. Pearson-Ratterman Bros. is in charge of arrangements. Memorial gifts may go to The Salvation Army. James Paul Sweet, 65, died Thursday, March 10, 2016, at the Jones Memorial Hospital following a prolonged illness. Jim was the oldest of three boys to Marcella (Colburn) and Paul Sweet. Jim was preceded in death by his father, Paul Sweet. Born and raised in Wellsville, Jim attended Wellsville High School where he played tennis for the Lions. He went on to play for Ithaca College and eventually coached his older son Brian on the Wellsville varsity tennis team in the 1990s. It was at Ithaca College where Jim met his future wife, Beverly. They married in 1974. In 1978, Jim and Bev made the life-altering decision to join the Peace Corps and move to Nepal where they lived for more than five years. Without a doubt, Jim’s greatest joy in life was watching his two boys grow up. From Little Dribblers, to Little League, to both of his sons playing three sports throughout their high school days, Jim never missed a game. More recently, while visiting his sons in Las Vegas he was happy sitting next to them for hours at a time while playing video poker.He also enjoyed participating in, watching, and coaching many sports. Jim spent many summers at the family cottage at Rushford Lake, fishing, boating, and water skiing. He was a loyal Buffalo Bills fan. (He always was proud that he was in attendance for the epic comeback when the Frank Reich led Bills came back against the Oilers in the 1993 NFL Playoffs.) Each year Jim and his closest friends took a fishing trip – where they shared more stories than fish. Jim loved being in the outdoors and spending time hunting, even on days when he came home empty-handed. His time spent at camp with his family and friends was something he always cherished. Jim unselfishly gave of his time to instill his love of baseball to the youth of Wellsville by coaching Little League for many years. Following in his father’s footsteps, he was a member of the Wellsville Lions Club – even serving as an endman in the Minstrel show. Right out of college Jim began working as Production Control Manager at Friendship Foundry, but his passion was always writing. As owner of the Southern Tier Off Road Center, Jim began writing his “STORC Droppings” column. Eventually this led to him working for the Wellsville Daily Reporter where he covered high school sports for the surrounding communities. Each day as he left for work, he would tell Bev that he was, “off to make someone a hero.” Jim is survived by his loving wife of 41 years, Beverly; his two sons, Brian and Kevin, both of Las Vegas, Nevada; his mother, Marcella of Wellsville; and two brothers, Bill (Janet) of Wellsville, and Doug of Fort McKinney, Texas. A celebration of Jim’s life will be held at a later date. In lieu of flowers, a donation can be made to the Wellsville Little League or a charity of the donor’s choosing. 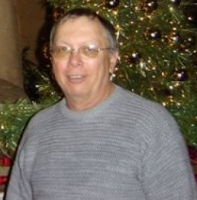 Thomas Coast Ball, 64, of Wellsville passed away on Wednesday, January 28, 2015. 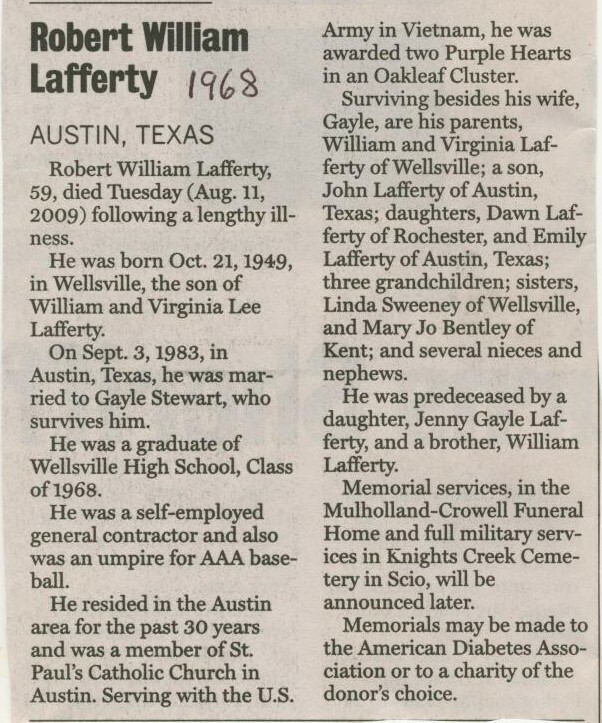 He was born December 5, 1950 in Wellsville, the son of the late Richard C. and Patricia (Temple) Ball. Thomas was a 1968 graduate of Wellsville High School; he attended Oklahoma State University and served in the U.S. Army between 1971-‘77. He worked on the Alyeska Pipeline and as an air traffic controller on Alaska’s North Slope. Tom found his position as cook/manager of the soup kitchen at the Immaculate Conception Church in Fairbanks between 1991-1995 to be very rewarding. Between 1996 – 2004, he owned Park’s Highway Express, a seasonal shuttle service for tourists between Anchorage, Fairbanks and Denali State Park. He was a former resident of Fairbanks, AK and Seattle, WA. Tom returned to Wellsville in 2007 and was a member of the Immaculate Conception Church. He is survived by four siblings, R. Michael (April) Ball of Placerville, CA, Dr. Barbara E. (Edward) Teter of Elma, NY, Stephen T. (Joan) Ball of Wellsville, and Teresa A. (Ron) Vida of Wellington NV, 9 nieces & nephews and will be fondly remembered by several great nieces & nephews. His friends, Aultman Cook of Seattle, WA, Margaret Kerton, Albert Kerton and Amy Wilcox of Wellsville were also considered family to our cherished brother. He was predeceased by a beloved nephew, James Michael Taylor. Tom was happiest when friends and family were gathered in his dining room, waiting for yet another of his fantastic home-cooked meals. Friends and family are invited to a Memorial Mass for Tom and his mother Patricia, who passed away on December 25, 2014, on Saturday, February 7, 2015 at 11:00 am at St. Joseph’s Church in Scio with Rev. Dennis Mancuso as Celebrant. Memorials may be made to the Immaculate Conception Church, Attn: Beautification Fund, 17 Maple Avenue, Wellsville, NY 14895 or The American Legion, c/o Brent Roberts, 23 Jefferson St, Wellsville, NY 14895. Gary E. Brownell, 69, of 20 Clark Street passed away on Sunday, May 13, 2018 at the Wellsville Manor Care Center. He was born March 15, 1949 in Wellsville, the son of Hartrick and Virginia (Empson) Brownell Sr. Gary was a 1968 graduate of Wellsville High School, and was a veteran of the U. S. Army from 1970 to 1972. He was employed for many years at C. E. Air Preheater Company in Wellsville and later for Kodak in Rochester. He enjoyed hunting, fishing, and bowling. He is survived by two daughters, Tammy Kelly of Florida and Terrina “Terry” Santiago of Illinois, one son, Gary E. Brownell of Wellsville, 14 grandchildren, one great granddaughter, three brothers, Butch Brownell and Larry Brownell, both of Wellsville, and Mike Brownell of Winter Haven, Fla., as well as several nieces and nephews. He was predeceased by his parents, who were affectionately known as Bud and Ginny, and by a daughter, Monique Brownell. Friends are invited to call on Saturday, May 19, 2018 from 12 noon to 2 p.m. at the J. W. Embser Sons Funeral Home Inc in Wellsville. A memorial service and military honors will follow the visitation at 2:00 pm in the funeral home. Please consider memorial donation to the Wellsville Manor Activities Center.